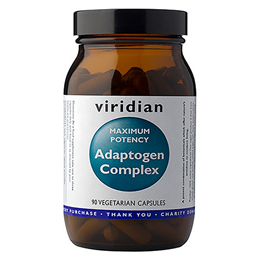 Viridian MAXIMUM POTENCY Adaptogen Complex is a potent combination of botanicals which offers nature’s antidote to modern living. Containing 5 beneficial botanicals, this unique combination may help boost your immune system during times of stress. 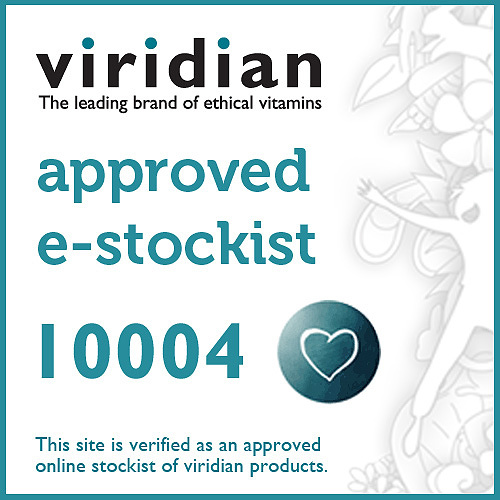 What does Viridian`s MAXIMUM POTENCY Adaptogen Complex contain? The most well known of all adaptogens. Has been used Worldwide as a general health tonic. Siberian Ginseng is considered by many to be the ‘Universal adaptogen’, as it seems to suit everyone in almost every situation. It doesn`t stimulate, and it doesn`t sedate. Hailing from Russia, it has been traditionally used for over 4000 years as a general health tonic. Damiana has traditionally been used to support a healthy wellbeing. Yerba Mate is actually a species of holly that is consumed on a regular basis in Brazil. It is very often used as an alternative to coffee. Suma, sometimes nicknamed Brazilian ginseng, is another incredibly powerful adaptogenic herb. Eleutherococcus senticosus (Siberian ginseng root), Turnera diffusa (Damiana leaf), Panax ginseng (Chinese red ginseng root), Ilex paraguensa (mate tea), Pfaffia peniculata (suma root). Take one to three vegicaps daily with food or as recommended by your healthcare practitioner. Korean ginseng may cause agitation in high does to individuals who are highly energetic, hysteric, manic or schizophrenic. Siberian ginseng should not be taken with anti-psychotic drugs, or during HRT. Yerba Mate may cause sleeplessness in individuals very sensitive to caffeine. Below are reviews of Viridian MAXIMUM POTENCY Adaptogen Complex- 90 Vegicaps by bodykind customers. If you have tried this product we'd love to hear what you think so please leave a review. Great adaptogen supplement, it calms me down and makes way more tolerant and chilled. Viridian MAXIMUM POTENCY Adaptogen Complex is a potent combination of botanicals which offers nature’s antidote to modern living. Containing 5 beneficial botanicals, this unique combination can help boost your immune system during times of stress.